Kids in golf carts can be a danger to the local roads. I guess it could be worse. Golf cart driver goes on a rampage. I would say his morning golf cart commute got a little out of hand. 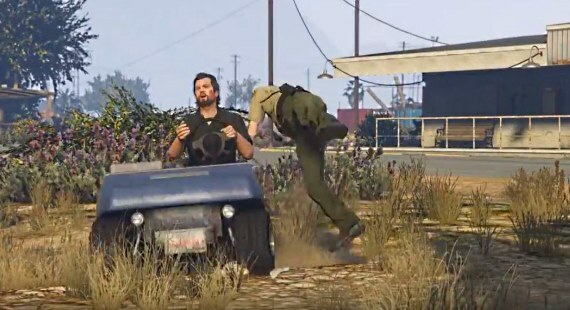 Video capture for (GTA 5) Grand Theft Auto V video game replay.